I did not win anything yet my credit card was charged $1. I need to know why? How can I get an item transferred between warehouses after winning it? What is the price to transfer an item between warehouses? I didn’t receive an invoice? What if I can't pick up my item at the scheduled pick up time? Do I need to bring a paper copy of the invoice or can I just show it on my phone? Am I allowed to open boxes during preview? Can a submitted bid be removed if I am no longer interested in the item? Do I need to bring help to retrieve my item(s)? Are there any auction fees? Why do I need to provide a credit card to register? Does Online Liquidation Auction ship items? What should I bring with me to pick up my item? $1 is a pending preauthrization charge that will not be posted. Every time a bid is placed on a new auction it is used to verify that the credit card is valid. The charge will disappear in few days. Once you receive an invoice please forward that invoice to Support@OLAuction.com and include a note that you would like to have the item transferred to the other warehouse. Once the item has been transferred we will reply to that email letting you know when the item will be available for pickup. A "Paid in Full" invoice will be sent on the day of pickup sometime before noon. If you did not receive an invoice, please check your spam folders. An email can be sent to Support@OLAuction.com to receive a duplicate invoice. If unable to come to the scheduled pickup time, it is the winning bidder's responsibility to send someone on their behalf with a valid driver's license and a "paid in full" invoice. Items not picked up on the scheduled pickup day are subject to resale within 1 week of the scheduled pickup day. No refunds will be issued for items not picked up. Winning bidder can either bring a paper copy or show it on their phone. No, all items are sold as is with no warranty. No exceptions will be made. Please come to preview to inspect the condition of the item(s) before placing your first bid. Yes, we encourage bidder to visit us on preview to know exactly what they are bidding on before they even place their first bid. You don’t even need to be a registered bidder to come preview items. 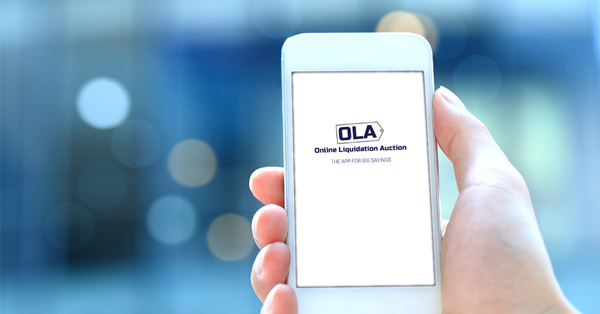 Online Liquidation Auction cannot edit or delete bids after they have been submitted. Online Liquidation Auctions provides help retrieving items and loading them into cars. All winning items will be charged with a 13% auction fee. Two item will end at intervals of one minute. Meaning, if an auction is scheduled to end at 8:00PM, item number one and two will end at 8:00 followed by items number three and four ending at 8:01. Auctions will close once all items have ended. If two bidders are bidding for the same item within the last minutes of an item's scheduled end time the items bidding will be extended for an additional three minutes. This feature gives an online auction more of a "live" auction feel. All winning bidders' credit cards will be charged at the end of each auction. This help to cut down on waiting time during pickup and makes picking up items easy. Online Liquidation Auction uses UPS as a preferred shipper. Once an item is won and you are interested in shipping please forward a "paid in full" invoice and desired shipping address to Support@OLAuction.com. From there we will email you an adjusted invoice and shipping cost will be automatically charged to the credit card on file. You must present a "paid in full" invoice and a valid driver's license at time of pick up. There are no subscription of commitments needed to bid on our auctions.